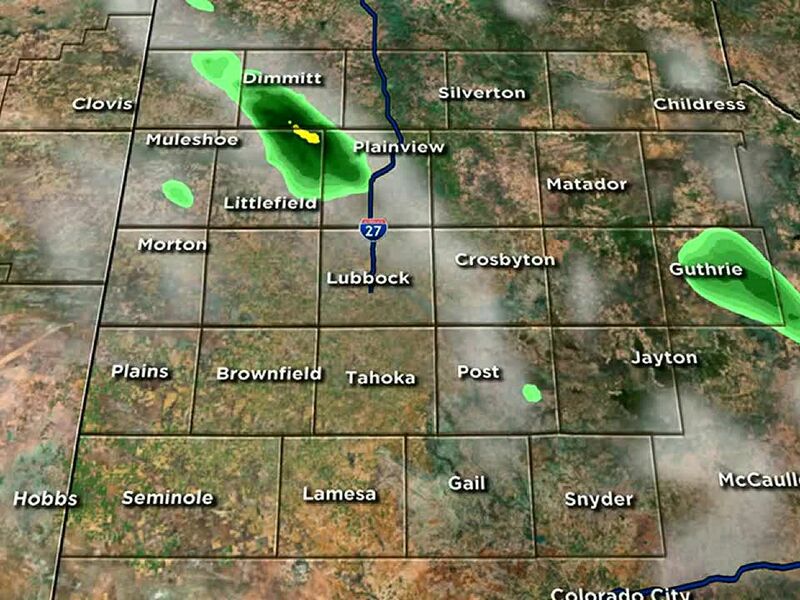 LUBBOCK, TX (KCBD) -A few showers are possible across the area Sunday evening. Nothing heavy is expected at this time. 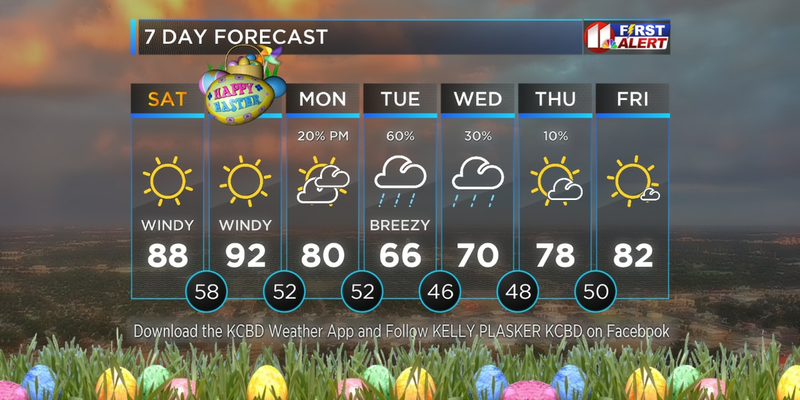 Strong winds become the main weather story Monday as a low pressure system tracks across the Panhandle just north of the Lubbock area. 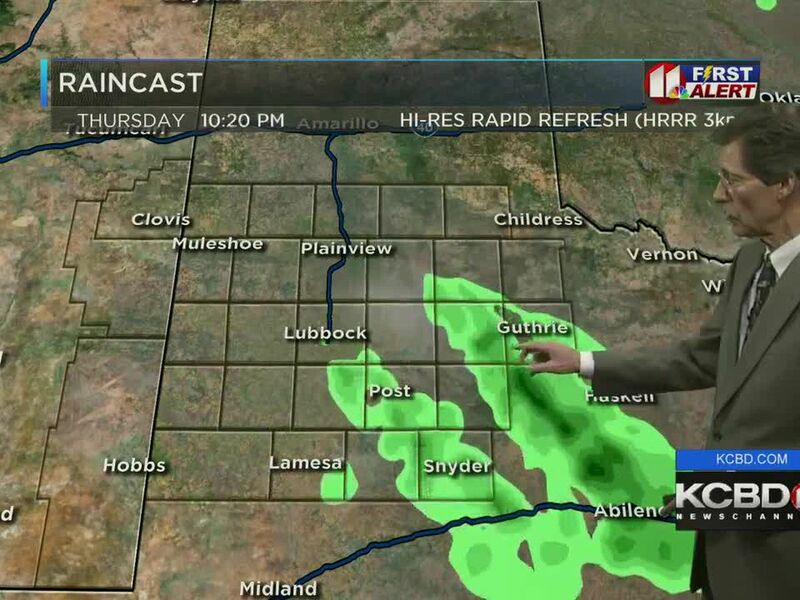 A High Wind Watch has been posted for the Central and Western South Plains Monday afternoon. 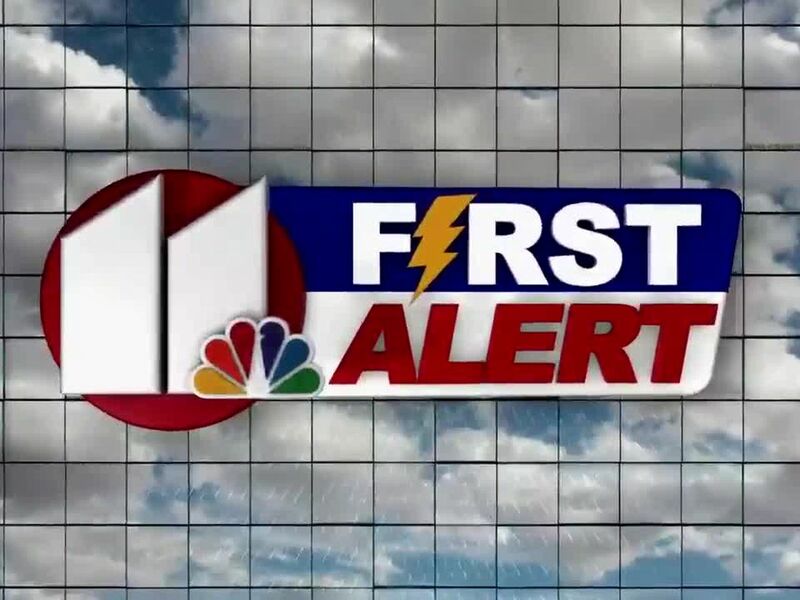 This includes the cities of Lubbock, Littlefield, Muleshoe, Plainview, Morton, Whiteface, Levelland, Sundown, Wolfforth, Slaton, Shallowater, Brownfield, Denver City, Plains, Tahoka, Post and Lake Alan Henry area. Winds will increase Monday afternoon as this low pressure system approaches from the west. West winds increase to 30 to 45 mph with gusts between 50 and 60 mph possible. Blowing dust may reduce visibilities across the area and create travel hazards across the region Monday afternoon. 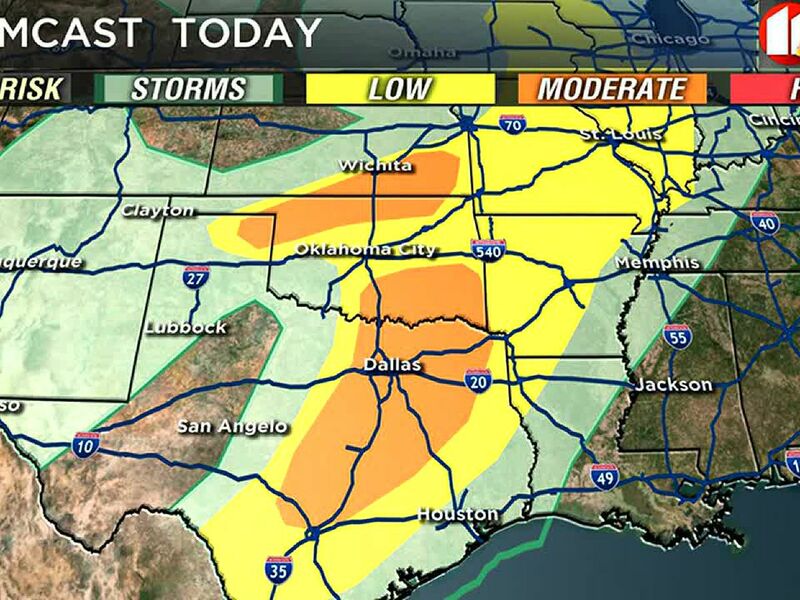 In addition to high winds, low humidity values between 10 and 20 percent are expected across the area. This could create high fire dangers across the area Monday afternoon and Monday evening. Any fires that develop could spread rapidly Monday afternoon. Daytime highs warm into the upper 50’s and lower 60’s with high clouds across the region through Monday. A cold front brings gusty north winds and colder temperatures Monday night.